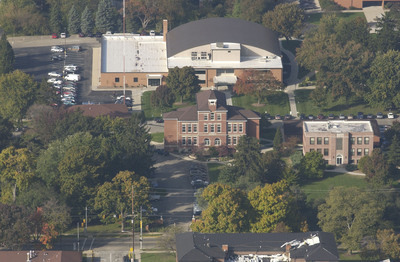 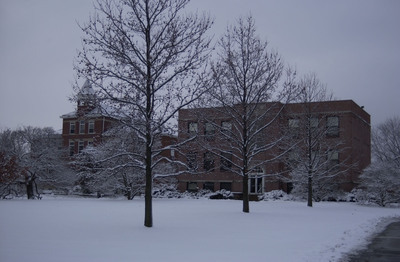 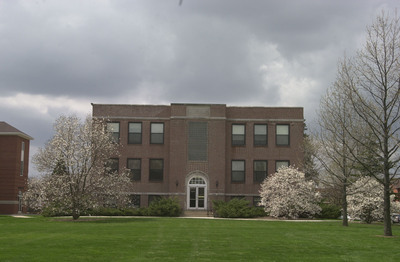 Collins Hall (formerly the Science Building) was built in 1923 as the third newly constructed building on the campus of Cedarville College. 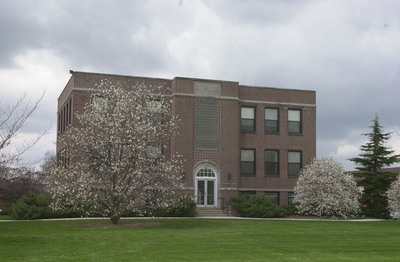 Andrew Collins, a lifetime resident of Cedarville, was extremely active in religious, educational and civic responsibilities. 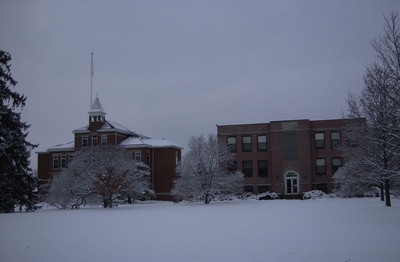 He persuaded the village school board to build the original Cedarcliff School building on the east side of Main Street, allowing for the construction of the Science Building next to Old Main (Founders Hall). 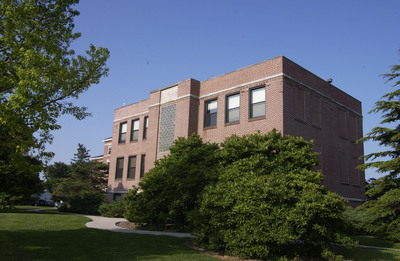 The building housed classrooms and laboratories for all the sciences, as well as a library for the education department at one time. 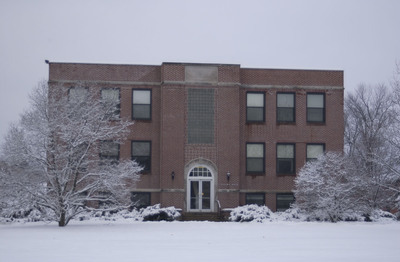 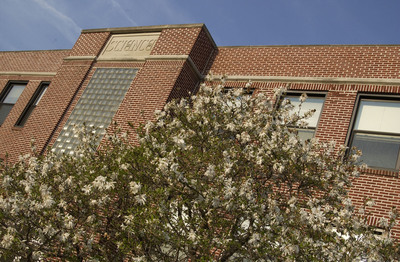 When Baptist Bible Institute of Cleveland assumed control of the College in 1953, the third floor of the building was used temporarily as a men’s dorm (and the men had to travel from the third floor, pass the classrooms on the second and first floor to use the restrooms and showers located in the basement!). 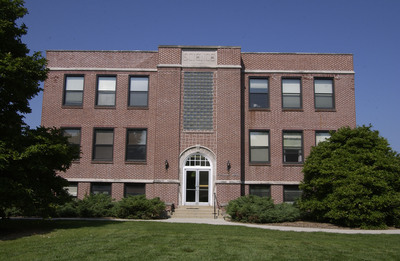 In 1975, with the construction of the new Science Center, this building was renovated thanks to a $50,000 gift from the Collins’ eight children (all Cedarville graduates), and the building was renamed in honor of their parents, Andrew Gordon and Mary Rife Collins. 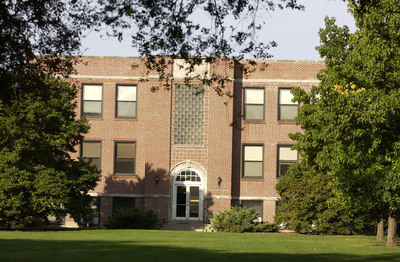 At that time, the building became the location for the departments of Psychology, Education, and Business. 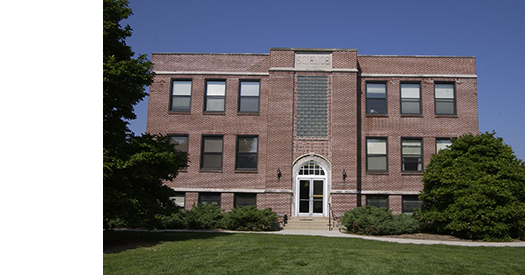 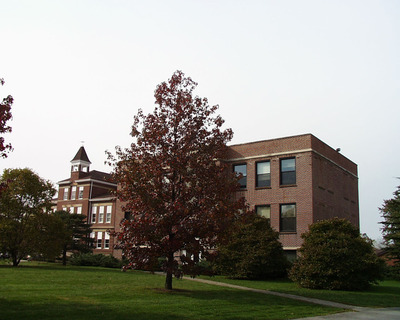 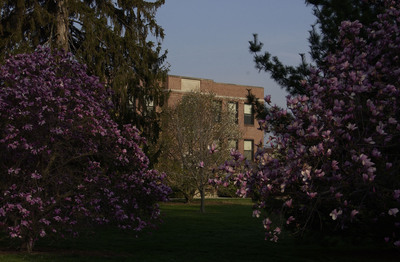 After another phase of construction and renovation on campus, the building housed the departments of Social Science and History and Communication Arts; finally, it housed only Social Science and History and the Office of International Programs until it was demolished in 2014 due to major structural issues.